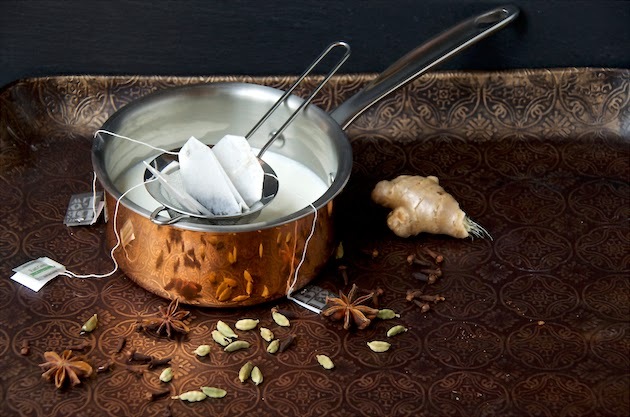 I never developed a taste for Indian masala chai while growing up. On those rare occasions, when my mom had a moment, relishing a long drawn sip of freshly brewed masala chai, I would watch her, puzzled. Indulging in this spiced Indian concoction was emblematic of her relatively carefree days of being a nursing school student in India. This chai sipping 'ritual' transported her back to where she was born and raised. Images of the chai wallahs, chai vendors, and street scenes from Mumbai, I imagine, came sweeping over her. Saying "chai tea" is redundant. Chai in Hindi means tea. In essence when someone says, "chai tea," they are just repeating "tea" twice, "tea tea." 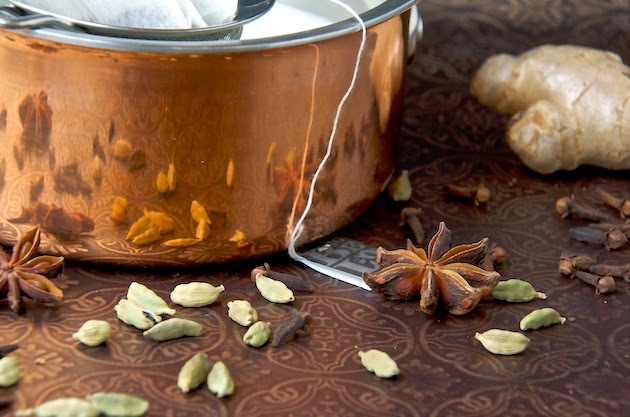 When referring to this aromatic spiced tea, we call it "masala chai." Masala means mix of spices. 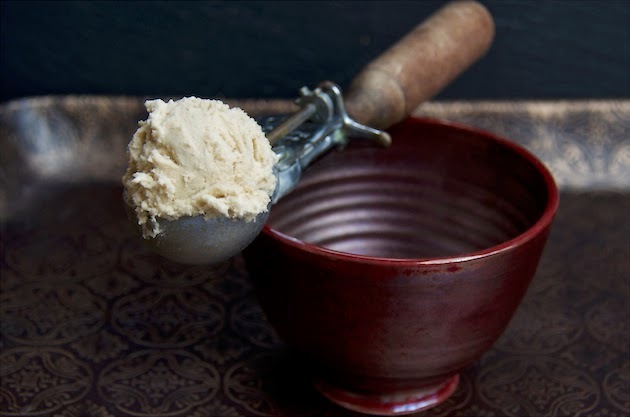 Hop over to Jewish Food Experience for the rest of the "Chai Sameach to you" article and the Masala Chai Ice Cream recipe I developed for Passover. See related ice cream links below. What a delicious ice cream! Delightfully spicy. This looks delicious. I think the next ice cream I make will have to be this. 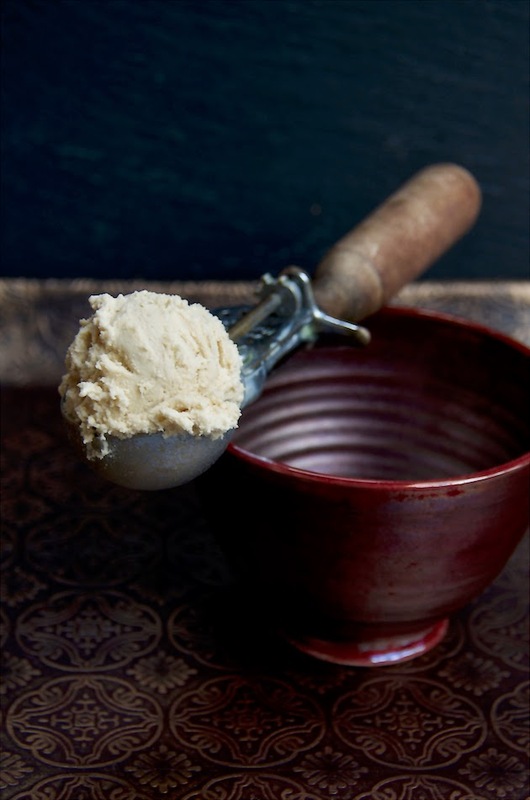 I've made vegan chai ice cream, but I'd love to try the traditional stuff. My sister hosts Passover dinner every year - she puts out the traditional delcioous spread. I'm always in charge of dessert. I want to make this! So when I offer someone a cup of this tea, I should just ask them if they want some chai? That's good to know (and something I didn't know before). Thank you for sharing that! 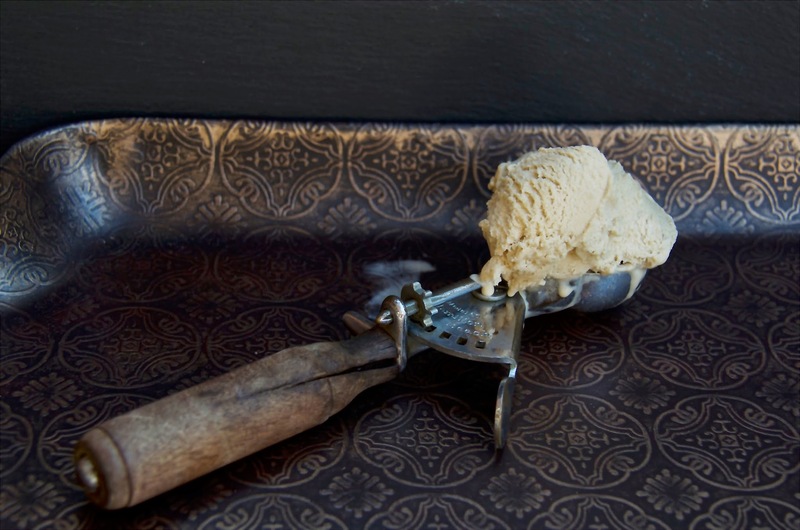 This masala ice cream is to die for! This looks absolutely amazing. I love the photos. I've never tried anything chai before. That's so silly, I need to try it. I've never had chai probably because it has caffeine and I'm an herbal tea drinker. However that ice cream, sounds delicious and I might give up and take in a little for that! Oh YUM! First, I'm a confirmed tea drinker. Second I'm an ice-cream-a-holic. This has my name all over it. Chai tea ... kills me every time! I remember both my parents sipping their masal chai and as a kid I often wanted to know what the big deal was all about. I love my masala chai now and it's my afternoon relaxation when I want to come down after a long day. So I am loving this version :) I plan to make it this weekend. I love chai, wonderful ice cream!